Unfortunately, I never met Stan Lee. But I knew Stan Lee. We all knew Stan Lee. At 34 years old, Stan Lee has always been a part of my life, whether through his appearances in various mediums or through the characters he helped create. Strangely enough, I’ve been feet away from Stan Lee. Close enough to hear him regale a child with a story about creating Spider-Man. I’ve seen him on the Marvel stage at New York Comic Con, doing what he does best – selling the Marvel brand better than anyone ever could. I worked under the roof he helped build as an intern at what would become Marvel Studios in 2004. I’ve always known Stan Lee. That’s the thing about Stan Lee and his legacy. Sure, there’s criticism to be had about his relationships with Jack Kirby and Steve Ditko. Those conversations will carry on forever. But the way I’ve always seen it is that there was one thing Stan did that Jack and Steve didn’t do with as much ferocity… sell the product. Stan Lee was the co-creator for sure, but he was also the salesman. 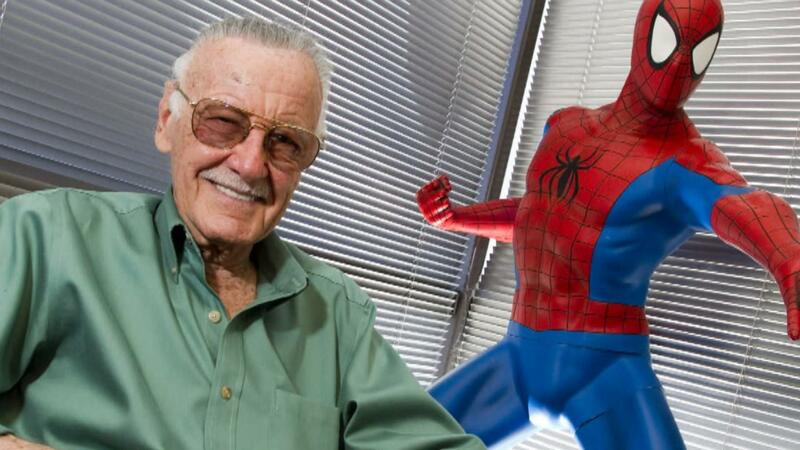 He was Marvel Comics’ biggest advocate, the face of the company. He made all of us feel welcome in a New York City that was full of mutants, super-soldiers, wall crawlers and wizards. The other day, a co-worker was posting a story about Stan Lee. When listing off the co-creations he included Iron Man, Black Panther, The X-Men and Hulk. I insisted he include The Avengers, but he didn’t want to because Stan didn’t create Captain America. This is true, but Stan helped mold the Cap we know today. In the 1940s, Cap (created by Jack Kirby and Joe Simon) was one of hundreds of patriotic themed characters coming out of World War II. Avengers #4 by Lee and Kirby breathed new life into Cap. My coworker ultimately decided against it, and that’s fine, but it highlights part of the debate about Lee’s legacy. However, until the day he passed away, even through all the horror stories of his final years, his “role” at Marvel, Stan still sold us not only on the Marvel characters, but whatever stories he was still working on. That’s one of the most remarkable things about Stan Lee. He never stopped creating. He never stopped wanting to tell stories. He never stopped selling us stories. The state of our discourse is pretty bad thanks to Twitter and Facebook, but I was still appalled to see people go after the low-hanging fruit on the day the man died to criticize the relationships with collaborators. Yes, it’s an argument to be had, but that was not the day. Instead I loved the stories about Stan Lee from creators and fans alike. Stan Lee was – and still is – larger than life. I’ve known about Stan’s deteriorating health for a few years through friends that knew him. I knew he couldn’t see. I knew it was hard for him to get around. But there he was, still popping up on social media with the spirit of a man three times younger. There he was at comic-cons, thanking the fans, signing autographs. And even through the horrors of his final couple of years, he would still pop up in our lives to tell us how great comics are. It’s true, I always wanted my picture with Stan Lee. I never took up the opportunity to pay for a photo op, but I did come close at NYCC a couple years ago – his final appearance. A friend was able to get a handful of buddies a photo with Lee in a green room. Unfortunately, my scheduling didn’t work out and I missed the chance. I’ve never been one for pictures with celebrities or public figures. I only have a few. One with Joe Quesada and one with two guys who once had a wrestling match in Brooklyn… but part of me did want that Stan Lee photo. However, at the end of the day – for me – I don’t need that photo with Stan Lee. He’s been a part of our lives for so long, and he will continue to be a titan long after we are gone. I’ll remember Stan Lee as a co-creator of myths and legends. A businessman who did what he thought was best for business. A salesman who sold millions on the ideas of himself, Kirby, Ditko and countless others. He taught us that with great power MUST ALSO come great responsibility. He advocated for equality and justice. Even in his final years, he stood up against the movement known as Comicsgate. Stan Lee was larger than life and he will never die. If you’re friends with me on Facebook or follow me on Twitter, you may have seen the reveal of the new title for the sequel to Patriot-1 on July 4. It’s been a while in the making (much like the original), but I am beyond excited that Patriot-1: Conviction is finally in production.It’s a different type of story. 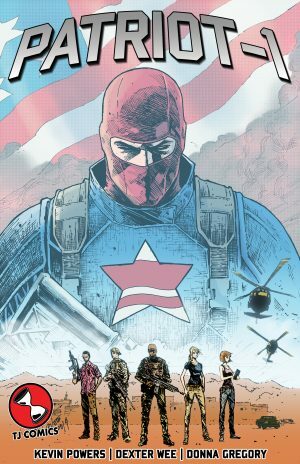 The first book is very much an origin story, less so about Patriot-1, but more about how a small team of principled people come together to make a difference. While that same core element is present, the book takes on a different tone with a more experienced team, and a different global landscape. I’m going to be a little coy on the details for the moment, but more will be revealed as I start preparing a Kickstarter campaign to help fund the book’s production. What I can tell you is this: I’ve welcomed a new line artist, Caius Shereiner, who you may be familiar with if you’re a backer of Stealth from Short Fuse Media. Caius is definitely bringing a new look to the book while keeping it grounded in the real world. A small part of the delay was trying to get both mine and Dexter’s schedule to align. Once we got it sort of worked out, it hit another bump, so with his blessing I found a new artist. However, Dexter is still very much involved with the project as he’s providing me with crucial feedback to every page that’s come in. Although Dexter won’t be returning, colorist Donna Gregory is! If you haven’t read Patriot-1, Donna is also the colorist on The Atomic Thunderbolt. I absolutely adore Donna and I love her work. She has the uncanny ability to adapt her style and color selection to fit any story’s tone. 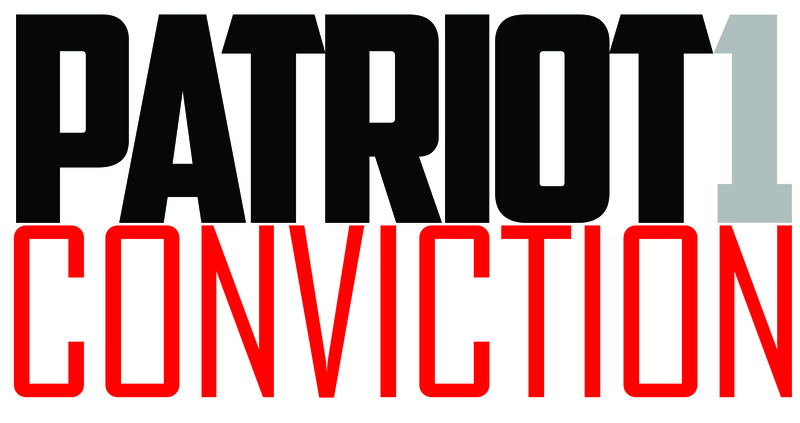 Patriot-1: Conviction will be 104 pages and is slated for release in 2019. Stay tuned for further updates. 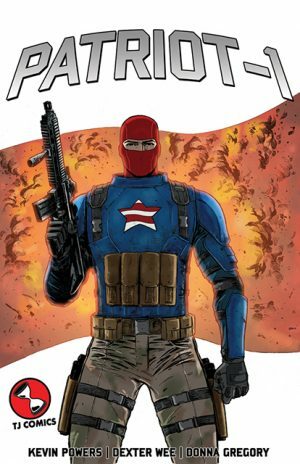 If you haven’t read Patriot-1, both physical and digital editions are available at the TJ Comics Shop. 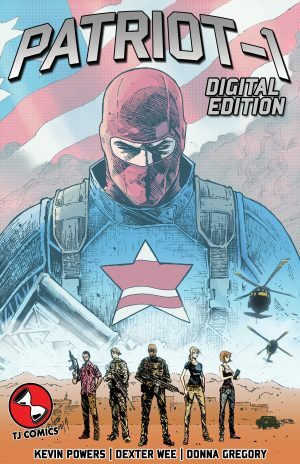 Patriot-1 (KS Edition) w/ Digital Copy! Once you have your idea and your outline, it’s time to get to the real meat and potatoes of the process: the script. Believe it or not, there are a couple of ways to go about your script. Every writer will tell you that there is no definitive comic book script format beyond stating the page number and panel. However, even that isn’t set in stone. The typical method – and the one I use to write my scripts – is the “full script.” My full scripts tend to be very detailed and full breakdowns of each panel, which can be a bit painstaking. The full script includes all of the dialogue, action and key moments involved in the story. This can also include specific expressions, emotions, movements, etc. The other method used is what’s traditionally known as “The Marvel Method.” Not a lot of writers use it anymore, but it’s the method that Stan Lee developed in the 1960s and in turn is what produced his insane output. Essentially – and this is dumbing it down – Lee would write a plot and then send it off to the artists to workout the details. Lee would then have the artwork returned with notes and then add in the dialogue and alter the plot to match the art. This method was highly effective for Lee and his collaborators, and is what gave us many of the stories and characters we love today. I don’t use the Marvel method because I’m a bit of a control freak – and while I do want artists to have a lot of leeway when we work together – I do try to make it as specific as possible to avoid complications. I blame the film student in me, but more so I blame the screenwriter in me. My primary training as a writer is in screenwriting. I hold a Bachelor’s degree in Film with a Screenwriting concentration. Writing comics isn’t all that different from writing a screenplay, to be honest. However, unlike screenwriting there is no program that allows you to craft a properly formatted comic script. Thankfully, you can manipulate the preferred screenwriting software, Final Draft, to write your comic script. I’ve used Final Draft for comic scripts, I know writers like Brian Michael Bendis use it, and if it is something you can afford I recommend it. There are templates available now that put the script into a graphic novel or comic format and that is super-helpful as characters and scene direction is automatically implemented. If you don’t have or want to purchase Final Draft, you can write your script with Microsoft Word or any other comparable word processor. The important thing is getting your story on the page. Recently, I’ve begun to use Word a bit more frequently for comic scripts because it’s a little more flexible and I find it easier to use on a mobile or tablet device. I also wanted to create a separation between my comic scripts and screenplays, and creating a “software” barrier helps keep me focused on one project. Couple general rules that are helpful: always CAP character names, caption boxes and sound effect directions to make sure they stand out from the general action or dialogue. This will help your artist and your letterer when reading your script. Some other rules of thumb when it comes to formatting your script: one action per panel, if you need to convey specific emotions, be specific in terms of what they are or how your character should react. And while there is no set rule for the amount of panels on a page… don’t go crazy. I usually find myself moving on to the next page after 5 or 6 panels, whatever conveys my scene. One thing to remember is writing and comics are art. You’re crafting your art and if the rules don’t adhere to your creation, to hell with them. Most importantly, just write the script! Now that you’ve got your story idea and your characters fleshed out, you’ve got to map out the story. Comic book storylines are typically broken down into arcs. One of the first things that you, the writer, has to decide is the format you want to tell this story arc. These days, most comics are “written for the trades.” That is, story-arcs are often plotted and done in a way that they can easily stand alone as a graphic novel or trade paperback collection. For the independent comic book creator, going straight to trade or graphic novel (OGN) format can prove beneficial. It may vary case-by-case, especially when it comes to cost effectiveness but it’s important to have these long-term goals in mind when sitting down to flesh out your story. We’ll cover budgets and what not more in-depth in a later post. Once you figure out the way you want to tell your story, it’s sometimes helpful to have a page goal in mind. A typical single issue comic is 20-24 pages, sometimes more. This will help you focus your story in a more limited space. The same goes for graphic novels. You may decide you want to do an 80-page story, or a 176-page story. It’s good to have a general idea before you get going. That doesn’t mean it can’t be more or less as you go, but setting a target will really do wonders for the writing process. Ultimately, you can tell your story in as many pages as you need, but most offset printers will require increments of 4. Anyway, back to the outline. A lot of this depends on your personal preference and process. Typically, a traditional outline format will work as you break down the beginning, middle, end, the plot points and scenes you want to cover. Admittedly, that method may tedious for some, and that’s okay. With that in mind, I’ll describe the two ways I outline. The first is kind of like the traditional method, just a little less formatted. I like bullet points, so I’ll often highlight a major plot point and bullet what happens leading up to, and as a result of it. The format itself varies, but it’s a good way to get the ideas all out on paper and work out the kinks. Somethings may not work, some will. I prefer this method when I’m not getting into specifics and need to flesh out the plot more than anything else. It’s simple, easy and mostly messy. The second method I use – and one I’ve used numerous times – is breaking down the story page-by-page. This method has been really effective for me. Essentially, I open up a WORD document or get a composition notebook and I go to town. 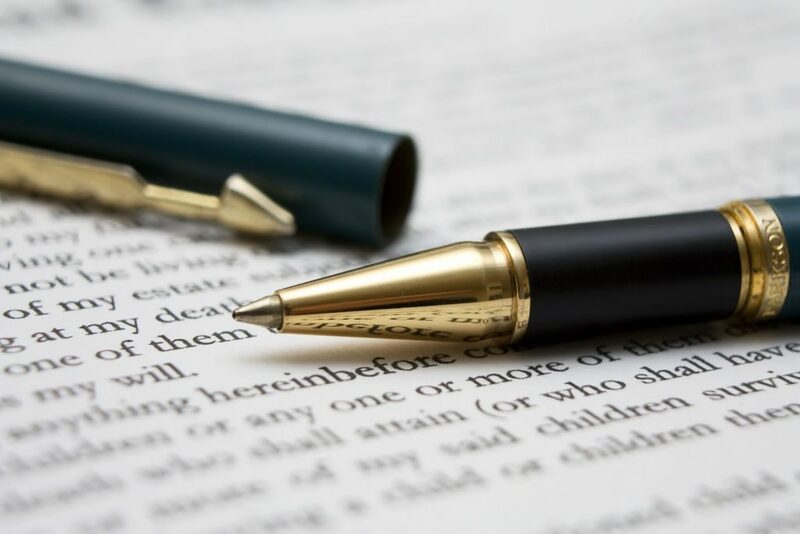 Usually, I’ll write a brief summary – one or two sentences – of what occurs on each page. However, I will also break down every panel (this is where the notebook comes in handy). Just a simple: Page 1 / P1: Action / P2: Action, etc. It’s an effective way of hashing out the plot, placement and giving you a general idea of the early mechanics of a comic book’s format. These methods – and outlining in general – will give you the structure you need for your story and make scripting much more of a breeze. Comic Odyssey: Comics will break your heart. I guess we need to talk about how comics – specifically, independent comics – are made. There was some uproar over the weekend regarding a certain book that has raised a considerable amount of money on Indiegogo, was picked up by a publisher and then dropped by said publisher. The book in question is from a creative team that doesn’t exactly have the best reputation in comics. I’m not going to use my time to talk about them, mostly because they don’t deserve it, instead I’m going to kick off this new blog by talking about making comics. Why? Because if this nonsense showed us anything, it’s that people don’t really know how comics are made. I’ve been making comics to varying degrees of success for nearly 10 years. There have been a lot of ups and downs, starts and stops, but persistence is key and I love to make comics. If it’s about money, stop right now and turn back. Seriously. If it’s some sort of bizarre campaign to “stick it to the establishment” and create comics designed to generate “liberal tears” or whatever, stop right now and turn back. If you’ve got a story you want to tell, you love comics and you want to pour your heart, soul and wallet into the artform, well now you are ready to continue. Actually, let’s get a few things out of the way, especially considering the mess that prompted this post. No one is obligated to read your book. No retail store is obligated to carry your book. In fact, retailers typically don’t carry independent books, especially books outside of Diamond’s premier publishers. It’s a tough fact of the industry. Retailers can carry whatever books they want. Readers can read whatever they want. There is quite possibly something for everyone in comics. If you can’t find what you’re looking for, then create it and put in the work. I did, and I continue to. That the other thing about comics – and pretty much life in general. No one owes you a damn thing. You can hoot and holler on social media all you want, but if you don’t put in the work, you’ll get nowhere. Still, if all you do is tweet and complain about the industry, you’re already giving off a bad first impression. We’re all guilty of it at some point, but if negativity Is your entire gimmick, why would anyone want to work with you? With that in mind, the next step is answering several questions, all designed to help you flesh out the foundation of your comic – the script. Will the story be plot-driven or character-driven? What are you hoping to accomplish with this story? What is your character’s motivation? What is your character’s background, and how does that factor into the story? These are all basic writing questions, but their importance is paramount. 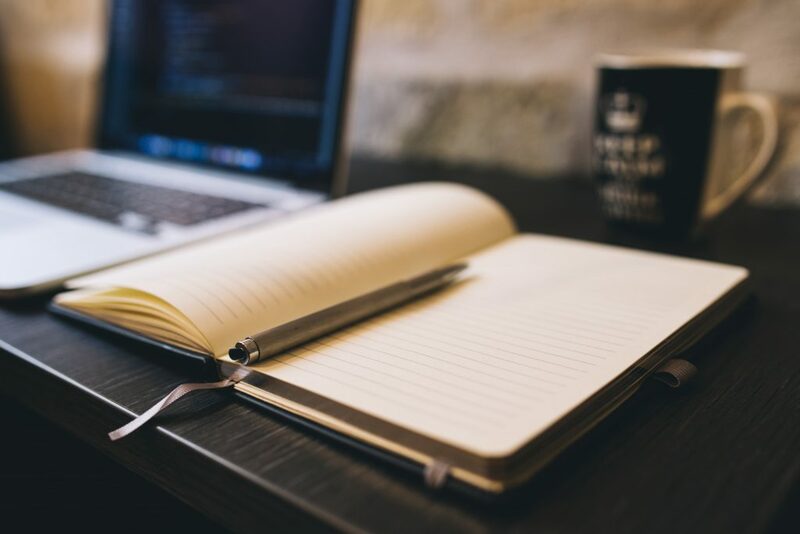 Let’s say you’ve got a notebook full of notes and scribbles – I prefer the composition notebooks you can usually get for a buck or less – now you’re ready to begin the story-writing part. But do you outline? Do you do breakdowns? We’ll go over a couple ways to do this next time.